COMM 119 is a mandatory first-year course that culminates with case presentation competition at the end of Term 1. Throughout the term, students complete an individual writing assignment and a major group report. Experienced fourth-year students help prepare the students and then select the top teams to advance to compete for the final prize on the last day of class. 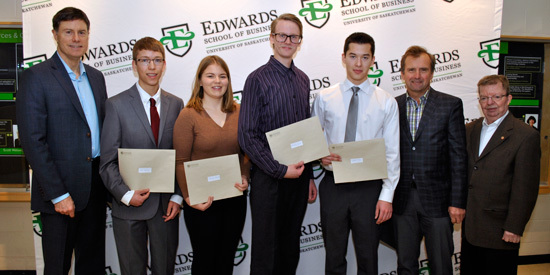 The finalists have six days to prepare their business case and, similar to JDC West, the groups of four compete in front of a panel of industry judges. 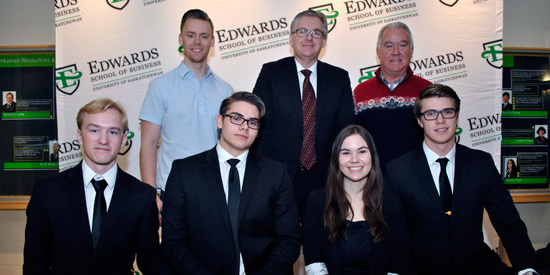 The industry judges are comprised of Edwards Dean’s Circle members who are business professionals paying it forward to help shape the next generation of graduates as they make their transition from education to employment. 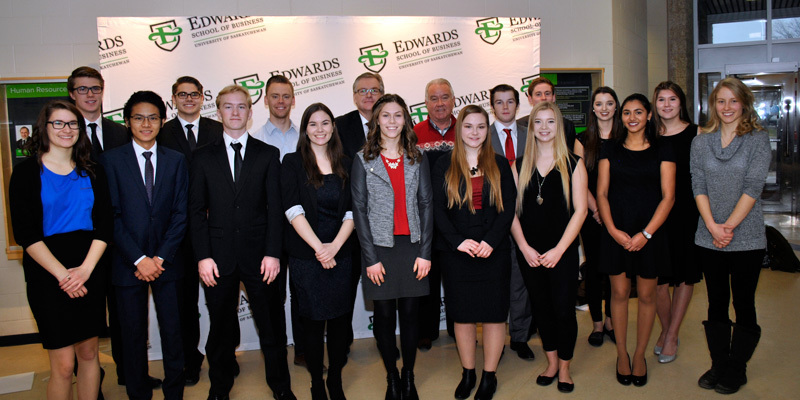 A total of 11 student groups rose to the challenge last Friday, December 2, 2016, after a semester of learning and preparation to compete for a $1000 team prize. COMM 119 funding is provided by the Edward’s Dean’s Circle for the mentor positions and team prizes. Special thanks to the judges who participated last Friday. 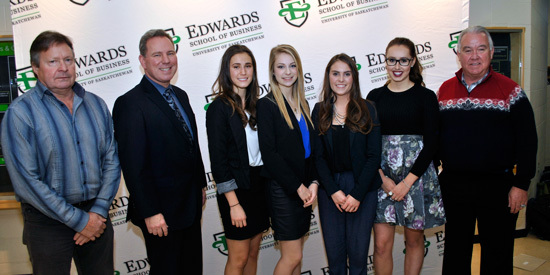 Students were also eligible to compete for the second annual Dean’s Golden Tongue Award. The award challenges students to make their oral presentation without reliance on a script while avoiding verbal fillers including um, like, uh, and you know. Winners of the challenge were eligible for additional monetary awards. Created by then-Dean Daphne Taras, the award is believed to be first of its kind in Canadian business schools and garnered national attention from media outlets such as the Globe & Mail and CBC in 2015. Congratulations to all the winners of the 2016 prizes!